Tom Brady has missed all of the New England Patriots’ voluntary OTAs this year and was only present during last week’s mandatory minicamp. We may not know exactly what he has been doing on his time off, but we do know that he has been spending some time on the golf course. Ahead of the U.S. Open, Brady participated in a practice round with some big-name golfers. 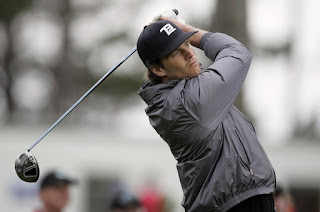 Tagging along with Brady and Fowler on their practice round at Friar’s Head on Wednesday was Fowler’s caddie, Joe Skovron and investment banker Jimmy Dunne. Then another big-name guy by the name of Phil Mickelson joined them on the back nine. "So being able to go out and play and get away from the kind of hectic scene of the U.S. Open, I think can be very beneficial." The U.S. Open begins Thursday, June 14, 2018 at Shinnecock Hills.